Koffee with Karan 6: Varun Dhavan and Katrina Kaif the two talkative guests, Sunday’s episode of Koffee with Karan had the two most talkative guests over the talk show. Katrina Kaif and Varun Dhawan. This time the guests were the one to invite the host of the show. 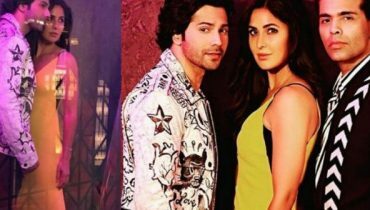 Bollywood actor Varun, who was sharing the couch with Katrina Kaif on the chat show opened up about his relationship with fashion designer Natasha Dalal. Talking about his lady love the 31-year-old actor revealed, “I’m dating Natasha. We are a couple. I plan to marry her”. 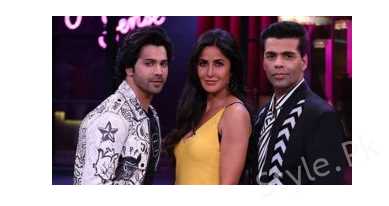 As the show kicked off, Katrina shared how Varun and Arjun Kapoor were a part of a two-member “I Hate Katrina club” when they were working on Maine Pyar Kyun Kiya. Varun told that she thought her two co-stars founded the club because she didn’t give them any attention but sharing the real reason Varun said that Salman Khan would take them on treks or swimming until Katrina arrived on set and grabbed “all the attention”. 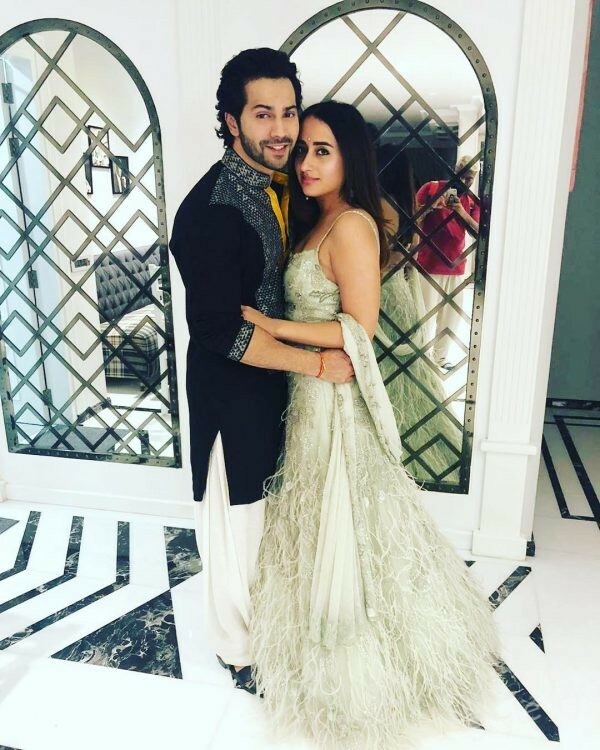 Varun also gave his piece of opinion on the matter of relationship with the mantra: “With all respect to everyone, screw everyone”. He said that people don’t care about their exes once they find someone else so you are always on your own. And there was a lot of talk about relationship and friendship, Karan asked Katrina about her relationship with Ranbir Kapoor’s girlfriend Alia Bhatt and his ex Deepika Padukone. Katrina said that she has individual relationships with each of them, irrespective of what is happening with others. “It isn’t tough for me to keep a good equation with Alia. Everyone needs to judge for themselves what’s best for them and how they want to handle their equations and their relationships. My equation with Alia is independent. My equation with Ranbir is independent and same with Deepika. I have individual relationships with all. We are not everyday phone conversation buddies, but I like who she [Alia] is”, added Katrina Kaif. She further added, “There is a certain enjoyment of each other’s company and a certain comfort and fun element that we have when we are together and it was a decision that I made. I respect and I value that relationship and it shouldn’t change for anything”. Katrina was also asked about bout the things she loves, hate and tolerate about Salman Khan. And her reply was, “I love his loyalty…hate some of his opinions and tolerate his tardiness”. When Katrina was asked to pick between Deepika or Anushka, she chose Anushka as she is her good friend. And when asked to choose between him, Aamir Khan and Akshay Kumar, she opted for Salman Khan. She also said that she liked Rajkummar Rao as an actor but wants to work with Vicky Kaushal because she thinks they would look good together. Katrina Kaif is most Googled person in Pakistan. But Why?